As the saying goes “Prayer is the key of the morning and the bolt of the evening “, Indians have great faith in prayers and poojas. A prayer is an act of seeking supernatural help. It is believed to be direct line with heaven. It is the conversation between you and the Supreme Lord. 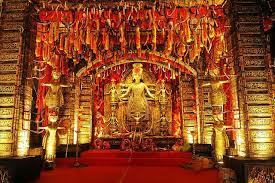 Durga Puja is celebrated throughout the country with great enthusiasm and zeal. It is a festival of 10 days. The first nine days are called Navratras. People observe fast during these days to please the female deity. From the sixth day of Navratri to the ninth day, huge sandals are organized to worship Goddess Durga. All these days triumph of the goddess over the king of demons Mahishasura is celebrated particularly in Assam, Bengal and other Eastern states of India. The first day of Durga Puja is called Mahalya which marks the advent of the Goddess. Celebrations begin on the sixth day which is called Sasthi. Celebrations concluded on the ‘Tenth day of Victory’ which is called Vijaya Dashami. Amid the carols and drumbeats, the idols of the goddess are carried in huge processions to nearby water bodies, where they are immersed. This process is called Visarjan. 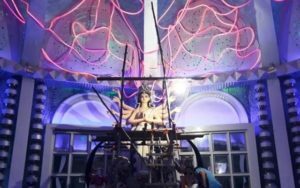 The Samaj Sebi Sangha Puja in Ballygunge has come up with an innovative idea this year for celebrating Durga Puja. Visitors are not allowed to touch the panda decor but this time the panda is decorated keeping in mind the feelings and emotions of the visually impaired. The committee has decided the theme ‘Sporsho’ which means touch. 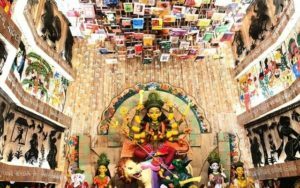 The words “Ma” and “Jai Ma Durga” will be written in Braille on the inner walls of the pandal. On the way out, visitors will find a desk manned by volunteers from an eye hospital where they can sign up to donate their corneas after death. Another committee in Kolkata named Santosh Mitra Square committee will be marking its 83rd year of celebration. 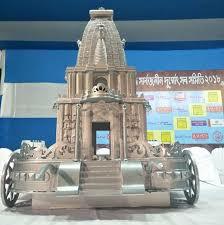 They are planning to use a chariot made of silver, priced at over Rs 40 crore, to ferry its Durga idol. However, the idols are simple, made by Minto Pal. 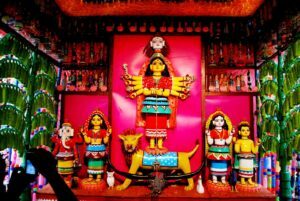 Aiming to establish a close cultural connect with Bengal, Communist China has decided to sponsor the oldest community Durga Puja in the town. Which means BJ block puja will showcase a mini Chinatown. People are very excited to taste authentic China in the Salt Lake. The committee is planning Chinese flute music, dragon dance, and acrobatics for which the artists will be coming from China itself. Sreebhumi Sporting Club in Sree Bhumi, Kolkata has selected Padmavati as the theme for Puja this year. It is their 46th Durga Puja in which hey will convey the message of Freedom of Expression. 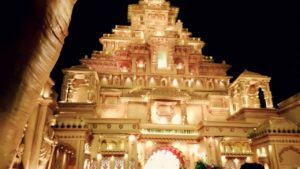 City artist Romeo will build the pandal which will look like the Chhitorgarh Fort, where Queen Padmavati used to reside. As Padmavati was a Rajput queen, the idols will adorn the Rajput ornaments. Chetla Agrani club, also famous as The Imperial Ground, has announced it’s theme of Durga Puja to be Bisorjan. 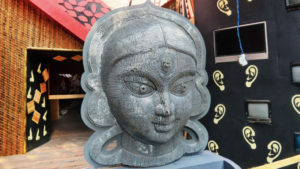 The idols, made by Anirban Das, will be projected around a temporary water body through a projector. The interior will be an imitation of Shish Mahal accompanying some musical effects. Santoshpur Lake Pally is regarded as Haldi Ka Pandal these days. They have imported four tonnes of powdered turmeric from Gujarat with which the transgenders will make and decorate the Pandal for Durga Puja. Troyee Foundation is acting as a guide in the execution of the plan. 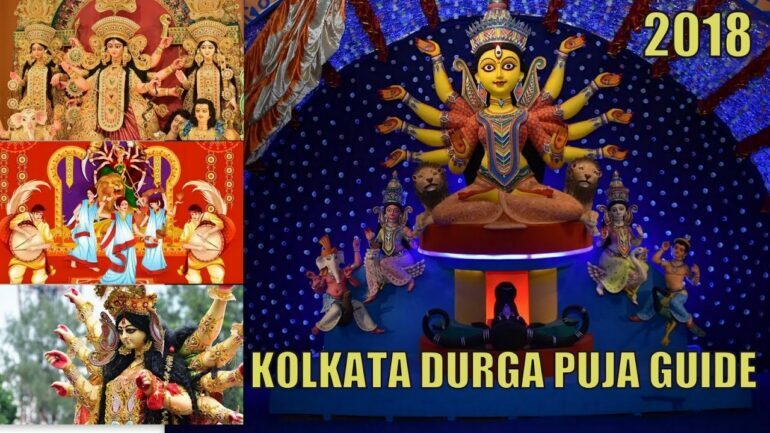 FD block is already famous for its exhilarating themes for Durga Puja. This year they have come up with yet another electrifying theme which is Dinosaur Park. 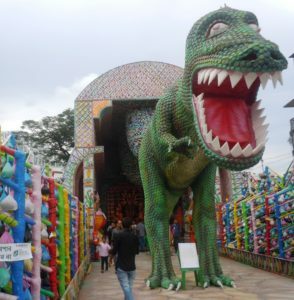 The Pandal is decided to be decorated as a forest with live installations of twenty-six types of roaring dinosaurs. It will be fun for both children and adults. Ulki Saje Ghora e Chore Maa Aschen Gonder Ghare is the decided theme for Durgoutsav in Bosepukur this year. Tribal artists from Amarkantak have been called to decorate the pandal with burnt wood and used ropes. Dum Dum Park Tarun Sangha has unveiled its theme to be Shishu Shomer Biruddhhe, which addresses the major social issue of child labour. In the 33rd year of their Puja, they are depicting the life story of a boy named Ganesha who works at a Tea stall. The pandal is given the ambiance of a tea stall. Manicktalla Chaltabagan Lohapatty has decided to highlight the importance of writer Rabindra Nath Tagore to Bengal this year in Durga Puja. Artist Sutunu Maity has been hired to create an aura of Shantiniketan in the pandal. Jagat Mukherjee Park has chosen a very innovative theme. Gearing our imaginative skills, the entrance of the pandal is made as a time machine which will take us 200 years into the future. 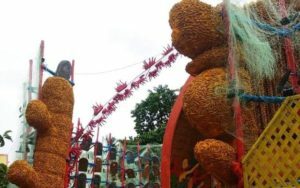 Elevating the hopes of the devotees, the pandal is decorated as a technology-ridden world. 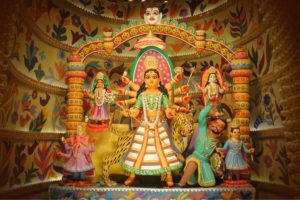 Are you also excited to attend Durga Puja this year with so many exciting themes? I am sure you will be. So gear up for Vijaya Dashmi and experience the respective themes with whole heart and delight.